Purpose: A dynamic drill that includes free ball repetitions, simulated covering after a block, and out-of-system situations. This drill can be adjusted to fit the skill level of the team. How it works: Six players play out a free ball initiated from a teammate on the opposite side of the net. 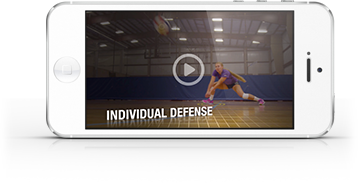 Every free ball pass that is within several steps of the setter is considered a “good” pass. Depending on the skill level of the team, determine a target number of successful passes before moving on. Once the team has reached that number, add in a cover ball to make the drill more game-like. To advance the drill, start by playing out a free ball and then immediately throw in an out-of-system ball that requires the team to adapt to foreign situations.